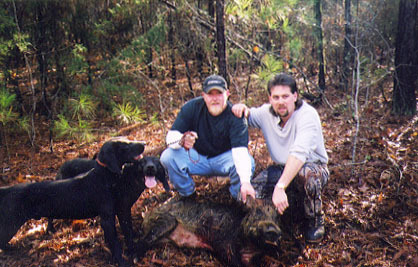 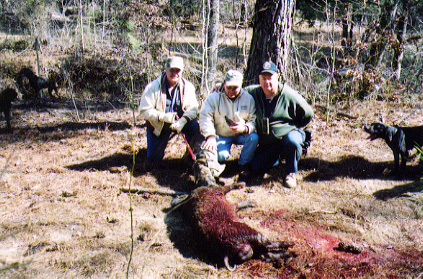 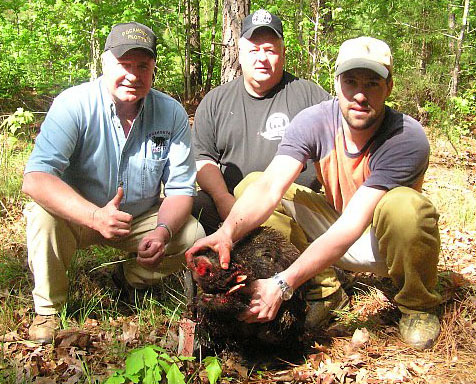 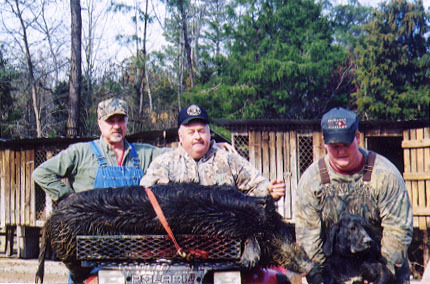 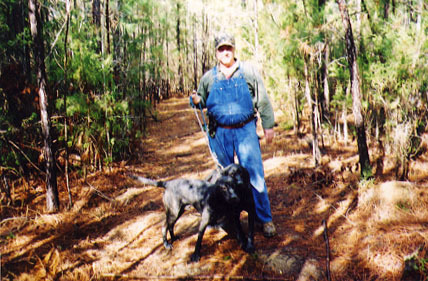 Ted Harris with Hawkeye (CodyII x Goldie) and Trapper (Gus x Chalk) with an South Arkansas hog. 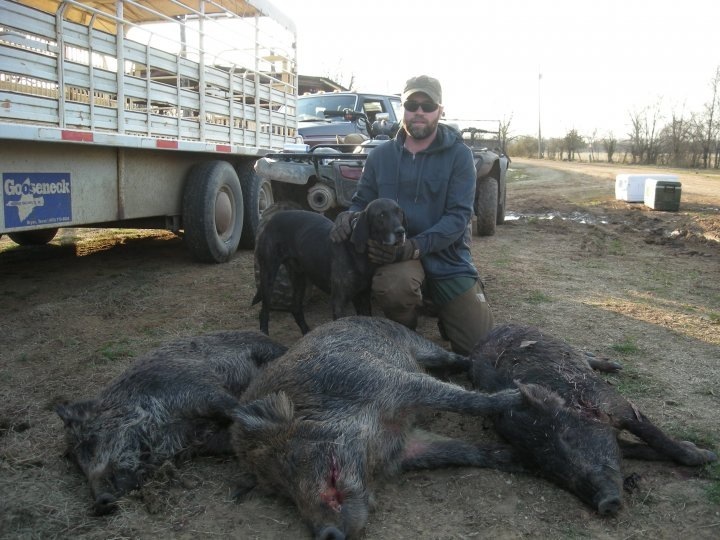 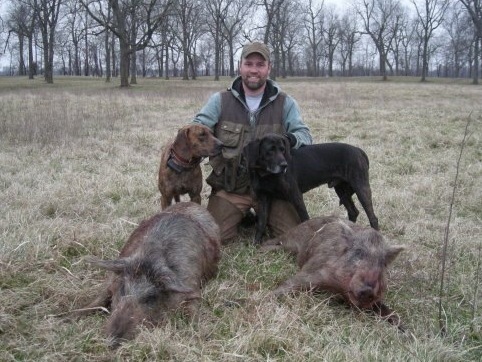 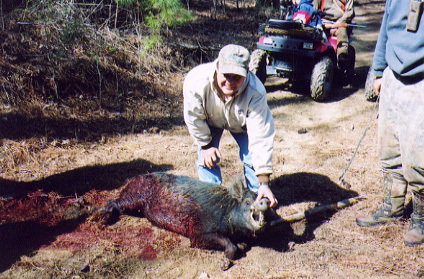 Ted Harris with Trapper (Gus x Chalk) with some South Arkansas hogs killed on the Red River. 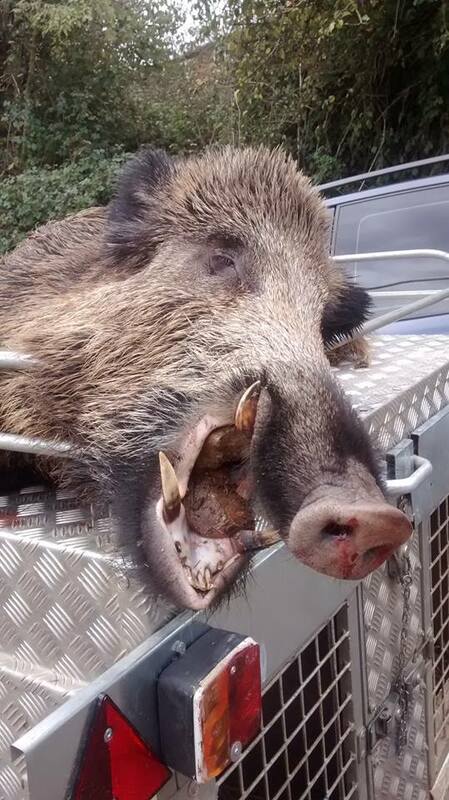 A hog taken by David Taboada in Spain.